Watch full Ginga Eiyuu Densetsu Season 1 Episode 15 English Subbed full HD online. Ginga Eiyuu Densetsu Episode 15 English Subbed online for free in HD. The Battle of Amlitzer Starzone. The Free Planets Alliance fleet are attacked: the 3rd, 7th and 12th fleets are destroyed and the 5th, 8th, 9th and 10th fleets are heavily damaged; only the 13th Fleet has managed to escape without taking too much damage. Admiral Lobos orders the fleets to regroup in the Amlitzer Starzone. 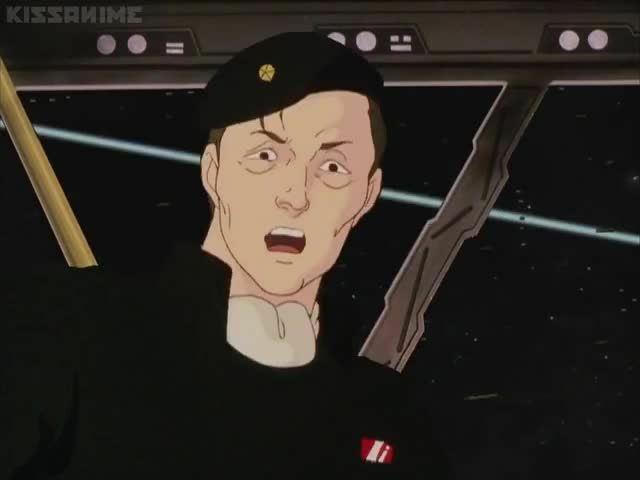 Reinhard orders his admirals to regroup in the same area in order to destroy the remaining fleets. The Free Planets Alliance Fleet suffer further losses during the battle of Amlitzer Starzone (October, 15, 796 S.C. / 487 I.C. ).